Enter the “Unband Beta” application. Change Theme colours to arbitrary colours. Change Background to arbitrary backgrounds. 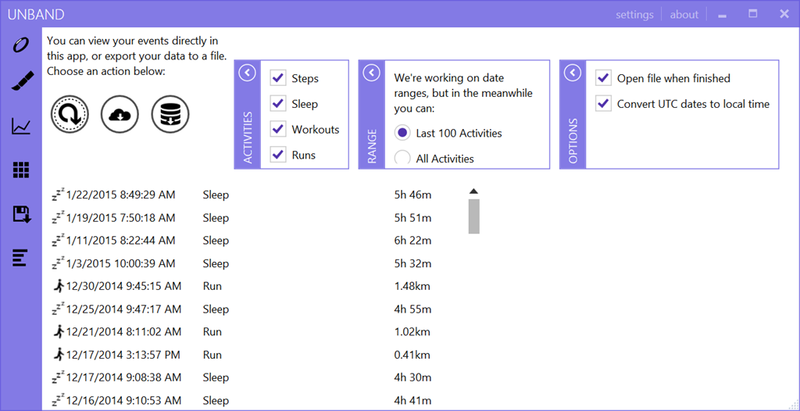 Export all of your activity data from the Microsoft Health cloud service. Supports exporting GPX files for those of you who like viewing your runs elsewhere. The app is a click-to-run .NET application that is actually about 6MB when it’s fully downloaded and installed. WARNING: Unband is still ‘alpha’ code and isn’t rock solid so while it’s super cool, you need to set your expectations appropriately. DOWNLOAD: UnBand: Unleash your Band!